The 12" iLIVING 3-Speed High Velocity Floor Fan comes with a three-speed setting that enables you to have better control of the air flow. At its highest setting, the fan has a CFM rating of 1208. Built to industrial grade standards, the fan comes with a permanently lubricated motor; it is powerful without being noisy. Equipped with 3 aluminum fan blades and a fan head that rotates a complete 360°, this fan spreads air easily and provides a great cooling experience. The wire grill has been reinforced to ensure safety. 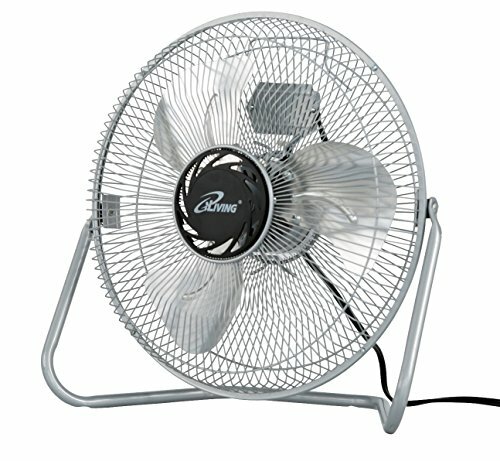 Fully assembled, light weight and portable, this fan is ideal for use in homes, offices, and workshops.